The all-new 2017 Porsche Cayman with the ‘718’ DNA is finally here. Four months after the arrival of the drop-top 718 Boxster, Porsche has unveiled its coupe sibling. 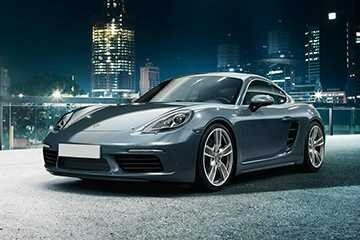 Surprisingly, for the first time, the Cayman has been priced below the Boxster. It comes in two models, the 718 Cayman and the 718 Cayman S, priced at approximately INR 36 and 44 lakhs, respectively (US market). In India, the car is expected to cost around the INR 1 crore mark. The 718 Cayman features turbocharged flat-four cylinder engines from the 718 Boxster series. This means that the power outputs of the two are now identical. 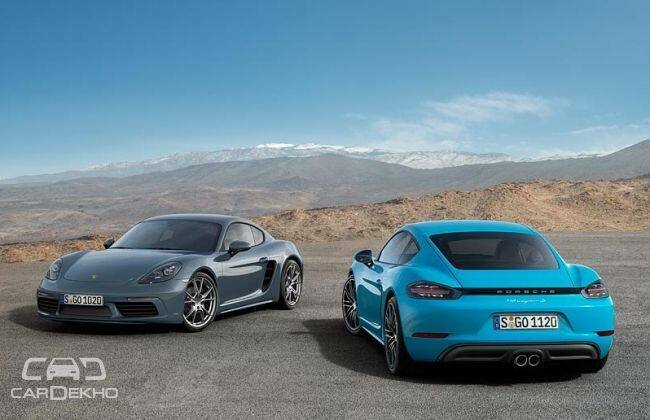 The 2.5-litre ‘S’ model, with the variable turbine geometry (VTG) produces 350 horsepower with 419Nm torque, while the 2.0-litre engine in the 718 Cayman delivers 300 horsepower with 380Nm torque. The models generate an additional twenty five horsepower than their predecessors. As a result of all this power, the 0 to 100 kmph time for the 718 Cayman (with the optimised 7-speed PDK and an optional ‘Sport Chrono Package’) is clocked at 4.5 seconds, whereas the ‘S’ model takes just 4.0 seconds to reach triple-digit speed. The top speed of the two are a massive 274 and 285 kmph. The car now comes with an “Individual” mode, which adds to the existing settings of “Normal,” “Sport,” and “Sport Plus”. This mode can store and call up the driver’s preferred settings. Other changes from the usual Cayman includes prominent air intakes on the sides and at the front and Bi-Xenon headlights with integrated LED daytime running lights. The tail lights have been redesigned and now support a set of four-point brake lights. On the inside, the 718 Cayman's steering wheel is identical to the one on the 918 Spyder hypercar. Porsche Communication Management (PCM) and the eight-speaker ‘Sound Package Plus’ audio system comes as standard. PCM includes special extensions for smartphones, such as the USB port, Apple CarPlay and Porsche Car Connect. All-in-all, the 718 Cayman looks refreshed and stands true to the Porsche legacy of being sporty and a true driver's car. And since it's priced below the Boxster, the 718 Cayman will definitely be a delight to the driving purist.